JULIA SPENCER-FLEMING: With everything we have in common, I'm amazed I hadn't crossed paths with Robert Bailey before now. 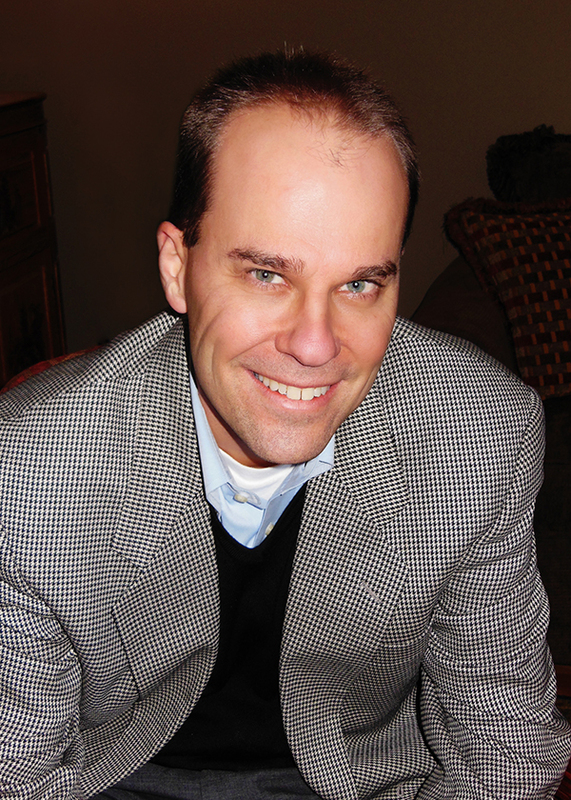 He's born and bred in Huntsville, Alabama while I spent my childhood in Montgomery and Tuscaloosa; he got his juris doctor at my father's alma mater, the University of Alabama (I got mine in Maine, where I moved after marriage); we're both passionate Bama fans (Roll Tide!) and we both wrote our early novels while juggling a legal practice and parenthood. Tom Joad, Atticus Finch, Darby Shaw, Jake Brigance, Penn Cage, Jane Rizzoli, Lucas Davenport, John Corey, Daisy Buchanan, Harry Bosch, Kinsey Millhone, Mickey Haller, Katniss Everdeen, Elvis Cole…What is it about a character’s name that immediately pulls you in? As a reader, writer and a watcher of film, one of the things I have always been fascinated by is character names. Where do authors and screenwriters get their names? What is it about a name that just works for that character? For example…Han Solo. Hear it one time and the first thing I think is…COOL. Can you imagine his name being anything else? It’s perfect. During book club events, I am often asked how I come up with character names, and the answer is complicated. Sometimes I have a specific reasoning that goes into it. With Tom McMurtrie—full name Thomas Jackson McMurtrie—I wanted the character to have a strong, southern name that felt iconic when read out loud, so I named him after General Thomas “Stonewall” Jackson. For Rick Drake, my reasoning was simpler. I picked the first and last names of two very good friends of mine and went with it. Probably my favorite name in the McMurtrie & Drake series is Bocephus Haynes, which popped into my head one day when I started thinking about a story featuring an African American lawyer in Pulaski, Tennessee, whose quest is to bring the members of the Ku Klux Klan who murdered his father to justice. How did this name happen? As a fan of Hank Williams, Jr., I was certainly familiar with the nickname that his father gave him. Also, my younger brother’s name is Bo and my mom and dad had many times affectionately referred to him as “Bocephus.” Additionally, I had just watched the movie “Gladiator” for the umpteenth time, where Emperor Marcus Aurelius plays a key role. Finally, I wanted the name of this character to invoke affection, awe and perhaps even a little fear. Somehow, in the midst of that cacophony of ideas and thoughts, the name “Bocephus Aurulius Haynes” appeared on the page. What is your favorite name of a character in fiction or movies? Why do you think that name is a perfect fit? 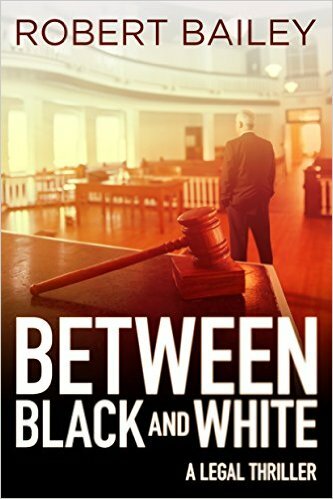 Robert Bailey is the author of Between Black and White releasing March 15, 2016 by Thomas & Mercer. 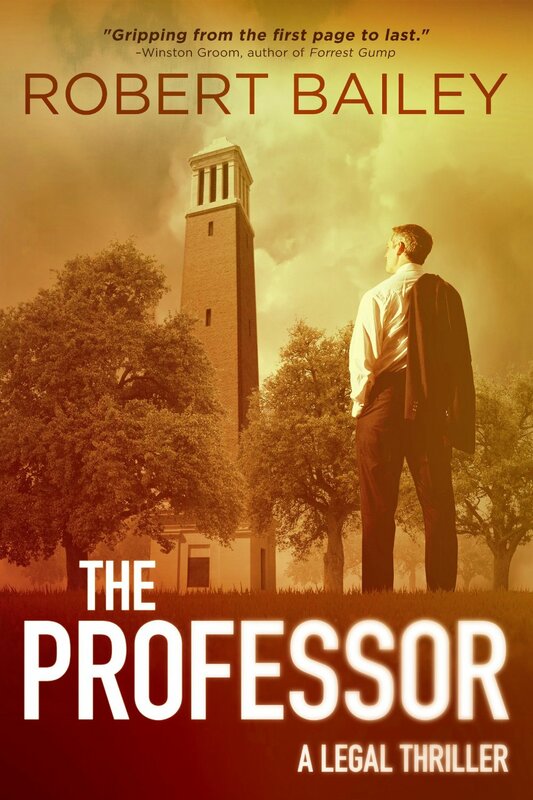 His debut novel, “The Professor,” won the 2014 Beverly Hills Book Award for legal thriller of the year and was an Amazon bestseller, spending several weeks at #1 in the legal thriller category. 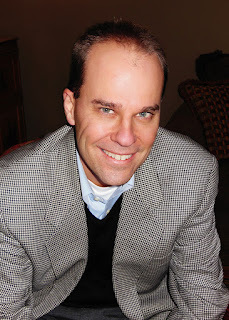 You can find more about Robert and the McMurtrie &Drake series at his website; friend him on Facebook, follow him on Twitter as @RBaileyBooks and discuss books with him at Goodreads. Favorite character name? I’ve never given that any particular thought but I suspect it has as much to do with characters I particularly like in a book or film as it does anything else. I do like unique names, so Atticus Finch almost immediately comes to mind . . . . Character names, esp for series, really do matter. Thanks for sharing your thinking on this, Robert, and congratulations on the new book. J. K. Rowling wins my prize for naming characters, but only because she can go full-on Dickensian. Severus Snape. Draco Malfoy. Dolores Umbrage. Rita Skeeter. For naming a main character in a mystery series I give the prize to Michael Connelly for Hieronymus (Harry) Bosch. Congratulations on the new book! Certainly, character names matter. Jasper Fforde gets my vote for inventive names--some of which I won't mention here, but Thursday Next certainly got my attention! I love this sneak peek into your mind while naming characters. And the books sound wonderful. A writerly question: How do you like being published by Thomas and Mercer? Pros and cons? thanks! And I really like Deborah's characters' names. They carry a real sense of place, and fit the characters perfectly. 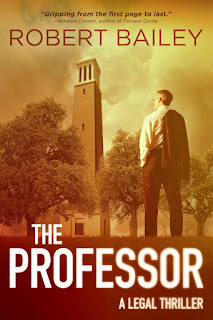 I heard tons of strong buzz on The Professor and while I did not have a chance to read it at the time, I am off to order both that and the new novel right now. As for favorite names, I am partial to James Alexander Malcolm MacKenzie Fraser from the Outlander series. It is a name that evokes all of the many complex elements of the man - warrior, lover, husband, father. It sounds dignified and legendary. And it gets condensed down to Jamie, which retains that youthful spirit that is so important to his character. Oh, yes, FChurch, Jasper FForde has wonderful names in his books - and his own would make a great character, too. My fav character namer? Charles Dickens, of course. Bumble, Fezziwig, Twist (as the story does...) Don't know if anyone could get away with that kind of naming now! Names are so very important. Sometimes, they spring to my mind and sometimes I have to negotiate with the characters ("You don't want to be called Jack? No? How about Jackson?") Sounds silly, but true. Did I ever mention that I'm terrible when it comes to the "what is your favorite?" type questions? I love the Professor! What a treat to read a solid straightforward thoughtful compassionate legal thriller! As for names, Dickens and JK Rowling certainly hit it out of the ballpark. And it's funny how some clever and unique names sound authentic, and others just sound made up, you know? That's what always intrigues me… what is it that makes them seem genuine and not contrived? . Thanks for all of your comments! I have to agree with Hallie and Hank. J.K. Rowling nails it as far as character names. Severus Snape! It's perfect. As for Lucy's question re Thomas & Mercer, I have had a great experience thus far. 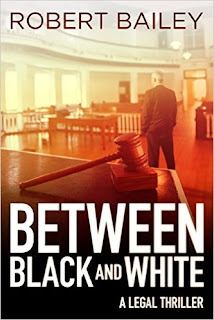 I've been very pleased with T&M's promotion of the book through targeted emails and I enjoyed working with the editing team on Between Black and White very much. So far so good! Hey, Doborah. That is a great question about the term "legal thriller" as opposed to "legal mystery." My best guess on that is that I didn't start hearing the term "legal thriller" until Grisham put out his first few books, and "A Time to Kill" and "The Firm" were more thrillers than mysteries. I guess from that point on the lawyers in peril genre became "legal thrillers" even though a lot of these stories ("Between Black and White included) have a whodunit mystery element to them. Anyway, that would be my two cents. You are so right about some names coming easy and others like pulling teeth. I find Gail Carriger is a genius with character names. She writes humorous steampunk style mysteries. One of my favorites is a mechanical dog called Bumbersnoot. I must check out your "legal thrillers" Robert. And when they work, they work. I wrote a whole book with a character Natalie Ruggiero. A college student. I hated it one every page. She just wasn't right. I finally changed her name to Isabel Russo and --whoa. She came to life. Why is that? Thanks, Pat. I'll have to check out Gail Carriger. I've enjoyed reading everyone's comments. Hank, Isabel Russo is a classic name. Love it! I love it when a character's name is just right. I enjoyed your explanation of your characters' names, Robert. I'll be buying The Professor as soon as I finish here. Debs' question and your answer about why they're called legal thrillers as opposed to legal mysteries is something I hadn't thought about, but when I read the label "legal thriller," Grisham's name does come to mind. I have to agree with Kristopher about Jamie Fraser and his long, meaningful name, so descriptive of his every facet. Another name I love is Alan Bradley's Flavia de Luce. It just rolls off the tongue, and it speaks to this young girl's sophistication and capability beyond her age of twelve years.